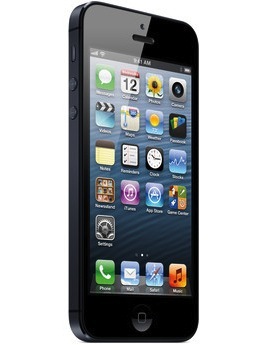 Are you bound by contract to use AT&T as your iPhone mobile carrier? Are you not happy with the services provided to you by AT&T? Well, here is an easy way out. You can unlock your iPhone in 4 simple steps and therefore, you will be free to use any mobile carrier of your choice. The exact steps to complete the iPhone unlocking have been provided by the mobile carrier itself. The instructions are very easy to follow and you can complete those by putting minimal effort. Wondering what are the things that you’ll require? Well, the iPhone which you want to get off-contract, access to a computer and that’s it. The process should be done within 10 minutes at maximum (Remember that apart from these 4 steps, you need to receive an unlock code and acquiring that may take around 7 days). Let me get into the details of these 4 steps now. As claimed by AT&T, the steps are pretty easy to follow and I could not agree more. To unlock an iPhone 5, you should first open iTunes on your system. Make sure that your system (It really doesn’t matter if it’s a computer or a MAC) can access internet in a proper manner. Now make use of the dock connector and verify that the iPhone is connected to the USB Cable that came along with your iPhone. Now, backup the iPhone through iTunes. After the backup is completed, you need to restore your iPhone. This step is easy to complete, but if you feel like getting stuck at any point of time, you can take help from the official website of Apple. Before you backup and restore the iPhone, double check that you are using the latest version of iTunes. Also, while the restoration process is in progress, if you see that the device is restarting continuously or not responding, put the iPhone in recovery mode and restart the restoration process. If you have completed the restoration process successfully, your iPhone should be unlocked. Remember, that you should start this process with a separate [tp lang=”en” only=”y”]request to AT&T for unlocking your iPhone[/tp][tp not_in=”en”]request to AT&T for unlocking your iPhone[/tp] in collaboration with Apple. You need to provide the IMEI (If you are not sure what it is, IMEI is the abbreviation of International Mobile Equipment Identity). You can find it out from the about section of your iPhone (Settings->General). The support team will contact Apple then and to make sure that the phone is off-contract, you will be sent an unlock code through email. This doesn’t take more than 7 days to be completed. Guest article written by: Christofer Gustavsson loves to write about latest technologies and the gadgets released. Off late, he is taking keen interest on iPhone unlocking and its advantages.